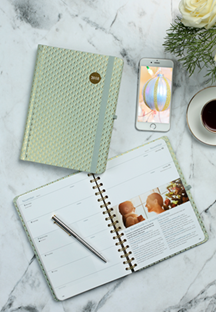 The Mum's luxury diary from Dairy Diary for 2018 features a beautiful teal and gold block cover with rounded corners, two ribbons, elastic closure, lie-flat binding for easy writing and stickers to highlight important events. You can find recipes for throughout the year, essential contacts, checklists and more. The diary is compact enough to fit in medium sized bags so you can keep it with you at all times. I have one diary to giveaway to one lucky person. eating all the naughty food!!! This Christmas i'm most looking forward to spending time with my family. Ii am most looking forward to just chilling out with the children and watching Christmas Movies. everything! I love everything about christmas the food, the presents, the atmosphere, but most of all i'm looking forward to spending quality time with my family. I'm looking forward to spending time with family & how much my son will love it now he is nearly 3! We always have a party at my sisters on Christmas eve (Adults only) which is usually a lot of fun. Fantastic, would love to win as I really need a 2018 diary! Time off work to rejuvenate and enjoy with my family!